We’re excited to announce a new data integration with TapClicks, the world-class marketing dashboard and reporting platform that gives you access to data from up to 185 data sources, such as Google AdWords, Facebook Ads, Instagram, Twitter Ads and much more. 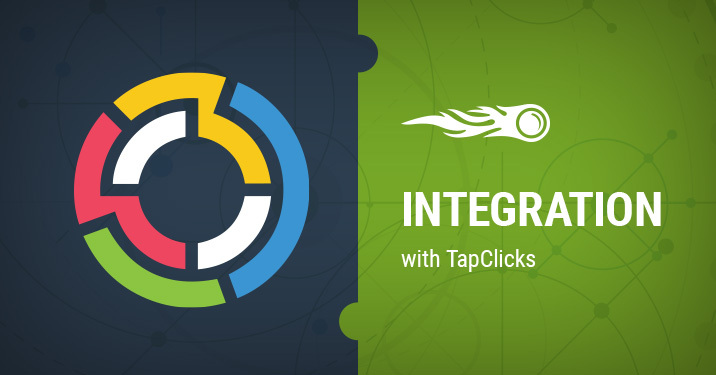 This easy-to-use integration allows you to access your and your competitors’ domain analytics data from SEMrush in your TapClicks instance. Now you can save time by connecting all your data sources in one place and devote more attention to critical analysis and insights that drive customer growth. Important! SEMrush data can only be added to TapClicks if you have a SEMrush business subscription and API units available. Keep in mind that you’ll be charged for SEMrush API units every time you gather data. First, log in to TapClicks, or sign up for a free trial if you don’t have an account. Next, when you’re in TapClicks, click on the ‘Manage Services’ button at the top left and search for SEMrush using the search bar on the right. Once you see the SEMrush square, click on the ‘Connect’ button to add your account. Using the wizard, create a connection name, type in your API key, specify the databases you are interested in, and click on the ‘Add account’ button. Your next step is to choose which agency client or advertiser domain data to pull from SEMrush into TapClicks. Enter the domain URLs for all domains you want to see in TapClicks. Click on ‘Submit’ after you’ve finished. To create a dashboard, head over to the ‘Dashboards’ sections in the left menu and click on the ‘Add Dashboard’ button at the top right. After you’ve configured your settings, you’ll be prompted to create your first widget. Click on ‘New data widget,’ then ‘Services’ and the SEMrush square to include your SEMrush data in your dashboard. The rest is up to your needs – simply select the type of data you’re interested in to create your personal dashboard. You can also generate a report for your client, schedule a report or use a reporting template. Go to the TapClicks Knowledge Base to learn more. What do you think about this integration? Share your thoughts and ideas at [email protected], and stay tuned, as more updates are coming!